Get ready to laugh for a good cause! 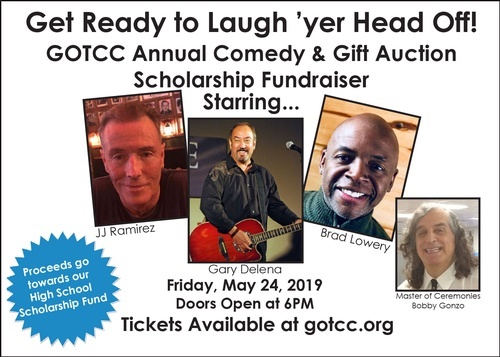 Join the GOTCC for its Annual Comedy Scholarship Night at Buona Sera Palozzo, in the beautiful Banquet Hall of Saint George's Greek Orthodox Church, in Ocean. Ticket includes a fantastic comedy show featuring comedians: Gary Deleana, J.J. Rameriz, and Brad Lowry, and an incredible buffet dinner catered by Buona Sera Palozzo.